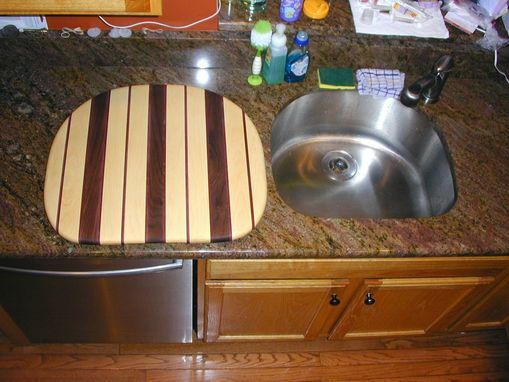 over-the-sink cutting board was custom made to fit the customer's kitchen sink inside dimensions. All pieces were glued together with water proof glue while several coatings of virgin olive oil were hand rubbed into the cutting board. 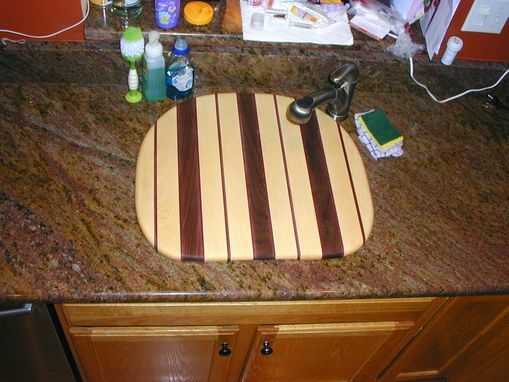 Dimensions: Approximately 1-1/4" thick x 25" wide x 22" deep.